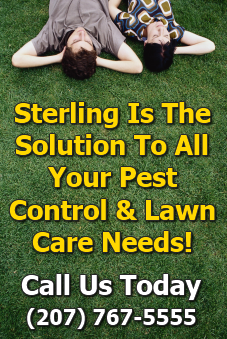 Here at Sterling Insect & Lawn Control, we offer a variety of services and service schedules designed to help you create and maintain a beautifully manicured lawn or exterior for your home. Customized fertilization programs for your lawn, shrubs and trees allow you to spend more time with your family instead of your spreader. Weed Control Programs to keep the grass the most visible part of your landscape, not the weeds! Soil Testing – Eliminate all the guesswork and know EXACTLY what your lawn needs to be thick, healthy, and beautiful. Grub Protection prevents costly damage from these nasty critters. Plus, our preventative Grub Treatment is GUARANTEED! Core Aeration that allows the water and nutrients to enter the soil, not run off! Over-seeding, along with Core Aeration keeps your lawn thick, beautiful, and a thing of beauty. Organic Lawn Care Programs – Do you prefer a more “natural” approach? We have a truly organic program that is sure to fit your budget! Perimeter Pest Barrier helps keep your home safe from carpenter ants, ear wigs, and other crawling critters. 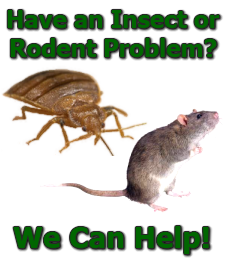 Inside Pest Control – Let us help you eliminate any nasty invaders that bug you! Mosquito Control – We have all natural as well as conventional methods of controlling mosquitos. Tick Control protects you and your loved ones from the most vile creature on the planet – ever heard of Lyme’s Disease? Rodent Control – Rats, mice, or moles? We can help! You can choose any one of these services OR combine them to create a complete property maintenance program that will keep your home and landscape green, weed free, and safe from any nasty creatures that want to make your life miserable! Join the thousands of other smart home owners in Southern Maine that have beautiful, pest and disease free lawns with less hassle, less head-aches, and zero stress as a result of Sterling Insect & Lawn Control!